Sam Allardyce claims the majority of Everton fans wanted him to stay at the club, even though he accepts their football "could have been better". The former England boss was dismissed on Wednesday after a meeting with majority shareholder Farhad Moshiri, despite having a year left on his contract. 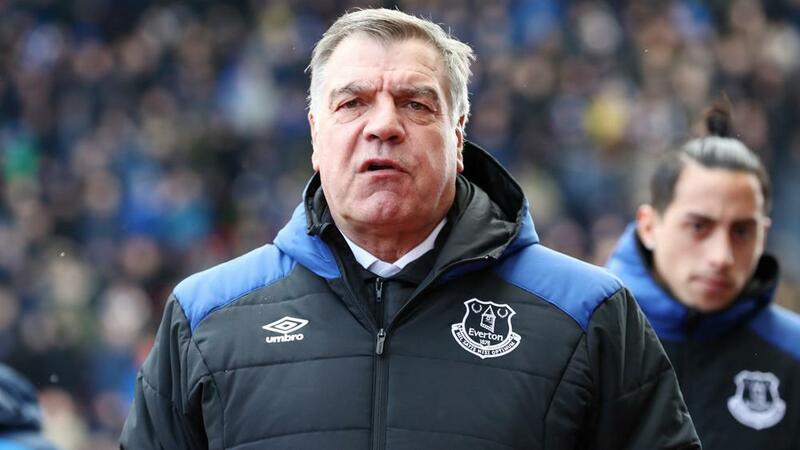 Allardyce, who was appointed in November after a protracted search for a long-term replacement for Ronald Koeman, successfully guided Everton away from the relegation zone and secured an eighth-place finish in the Premier League. However, a number of fans were unhappy with the style of play on offer at Goodison Park and there was clear discontent in the stands during their last home game of the season, when they drew 1-1 with Southampton. Allardyce, though, believes the frustrated group of supporters were in a minority, telling talkSPORT: "I would say most of the Everton fans didn't want me out. "The fans who show discontent are always more vocal. The club was in a very difficult position, but it improved as time went on. "If it wasn't enough for the Everton fans at that time who were showing some discontent, I think there were certainly more fans who were happy with what we were doing than the ones that weren't." Allardyce accepts their play was not always of the highest quality but feels he did the job he was brought in to do. "Yes, some of the football could have been better. There's no doubt about that," he said. "We all want to try and create as much entertainment value and results as much as we can but you are left with the tools you have. "When I came, it was all about reorganising Everton, because of the huge amount of goals they had conceded before I got there. The satisfying thing for me was the response of the players and the staff on the position we finished." However, Allardyce was irritated to learn he was going to be dismissed through media reports long before his final meeting with Moshiri. "I was surprised how it came about. It seemed to be done and dusted through the media before I met Farhad," he said. "I think it was out there in the open for a couple of days. That leaves you with the certainty of what was going to happen and I prepared myself. "It was slightly disappointing. Who was involved in that I couldn't tell you, but something as delicate as that is something you want to be confidential.